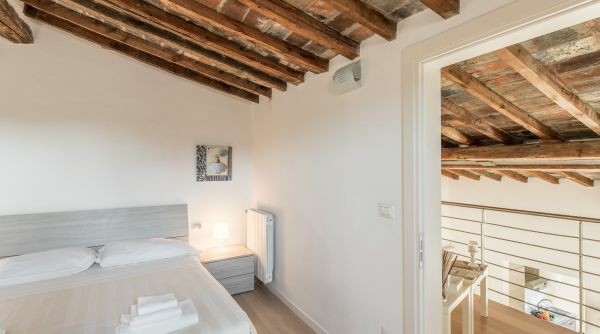 A large apartment to rent in the neighborhood of Borgo San Frediano in Florence, into the so-called "Oltrarno", a very nice area of the city, famous to be the one which that more than any other has maintained its atmosphere although lately has seen the birth of many clubs and trendy restaurants. 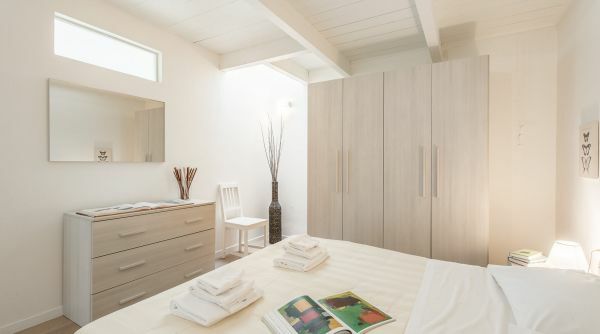 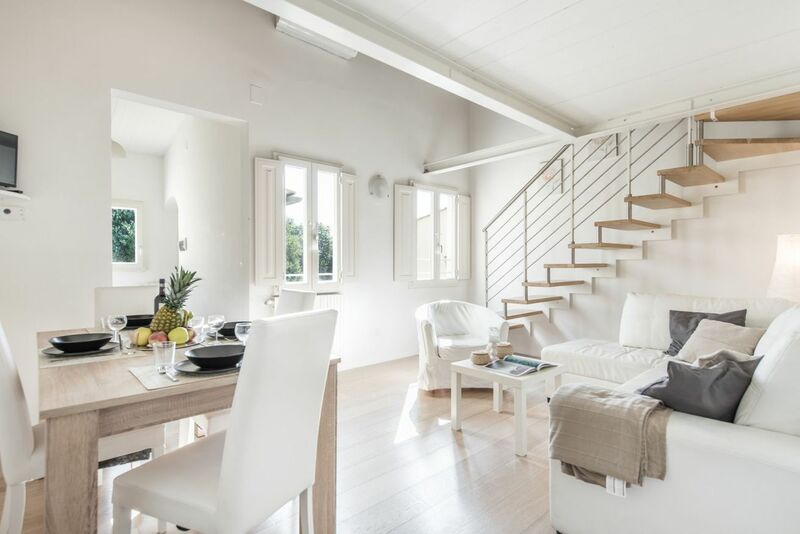 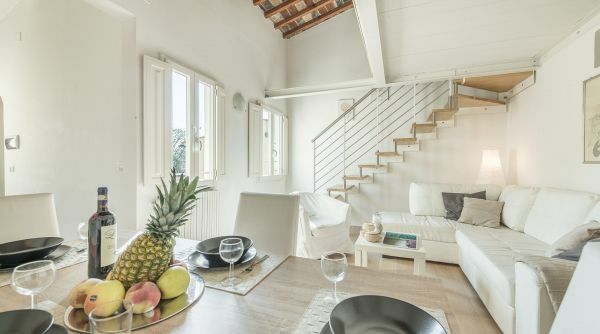 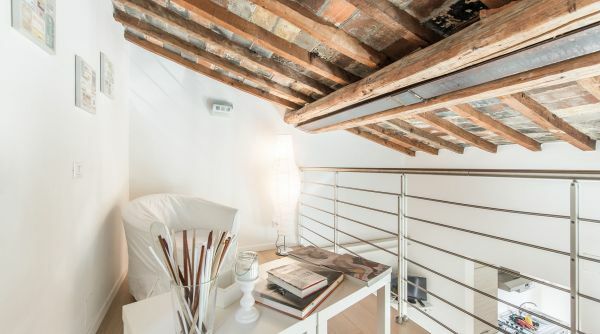 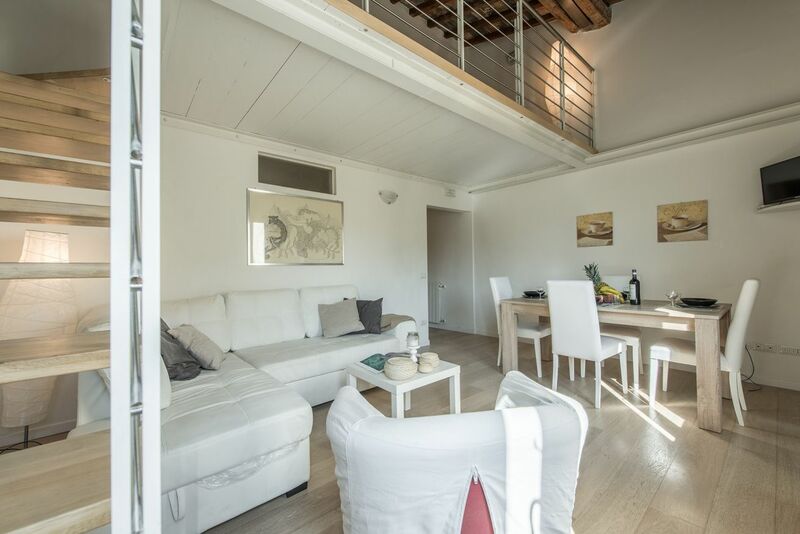 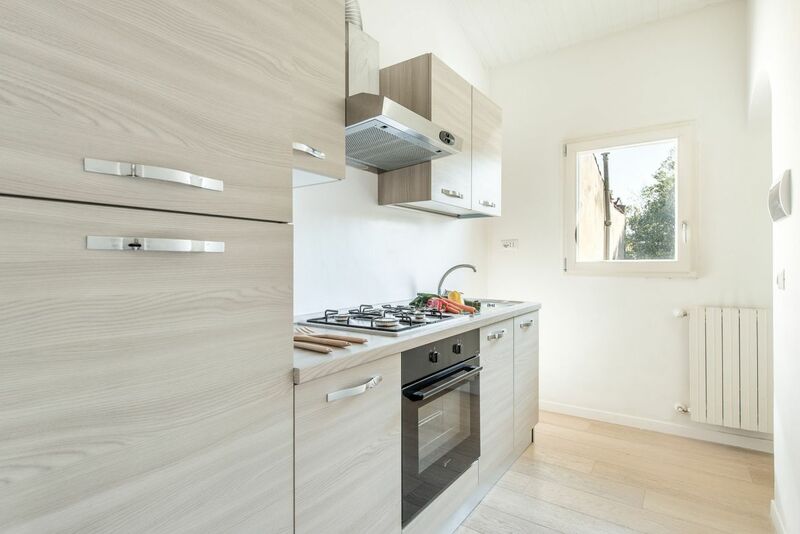 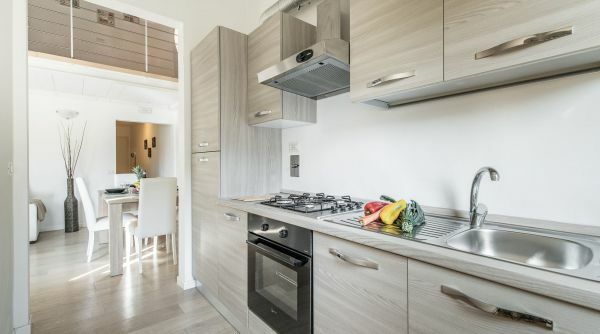 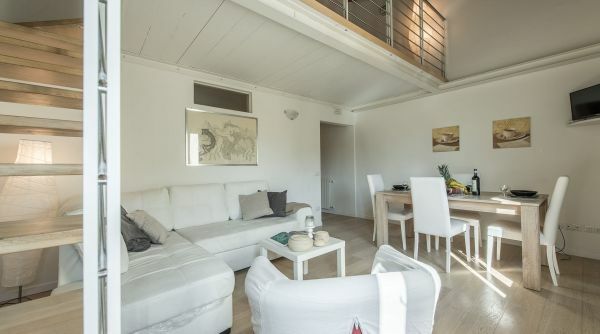 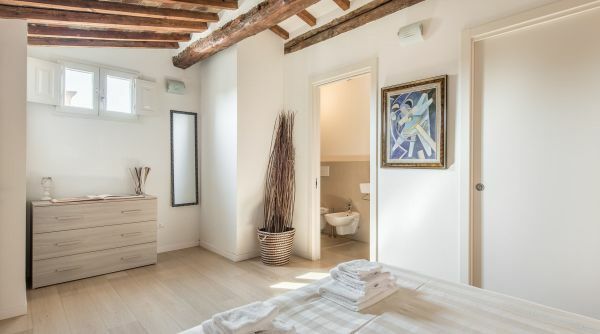 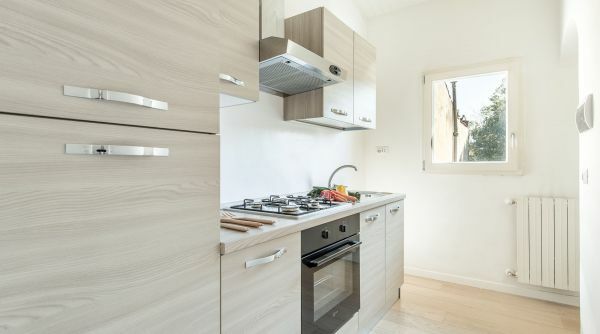 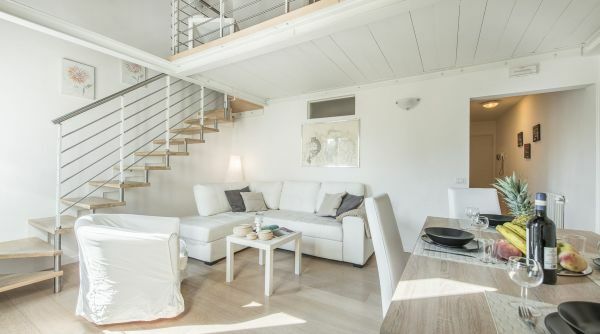 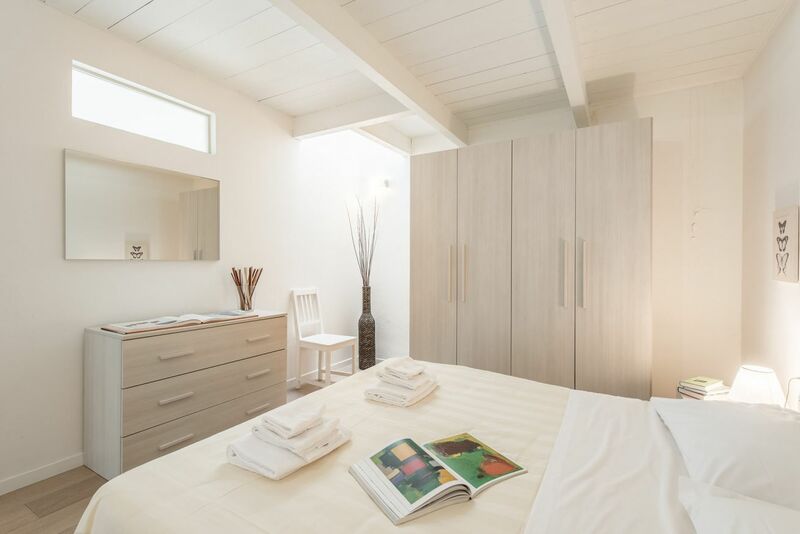 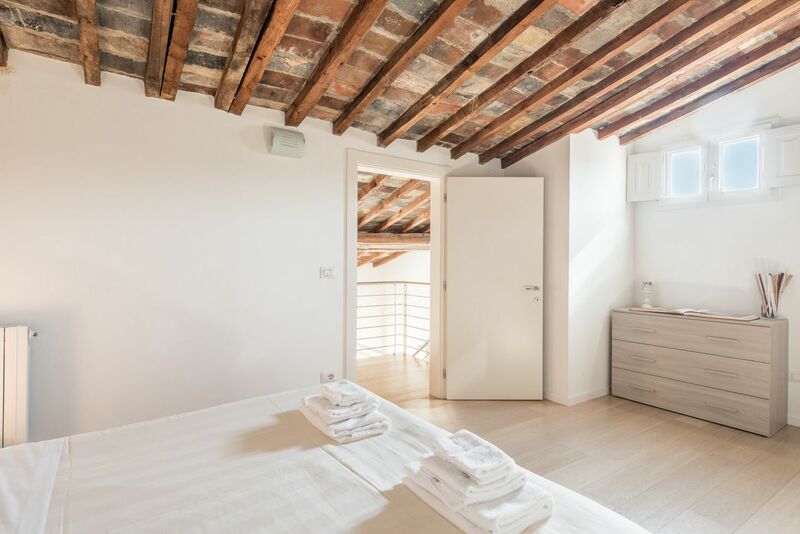 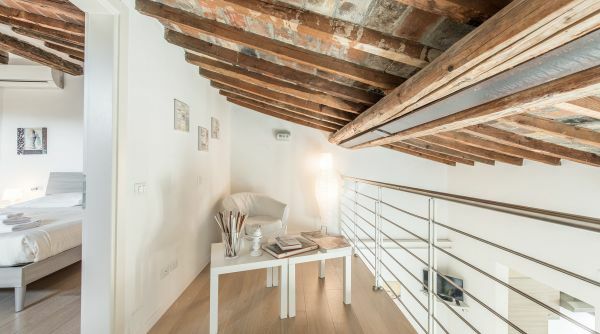 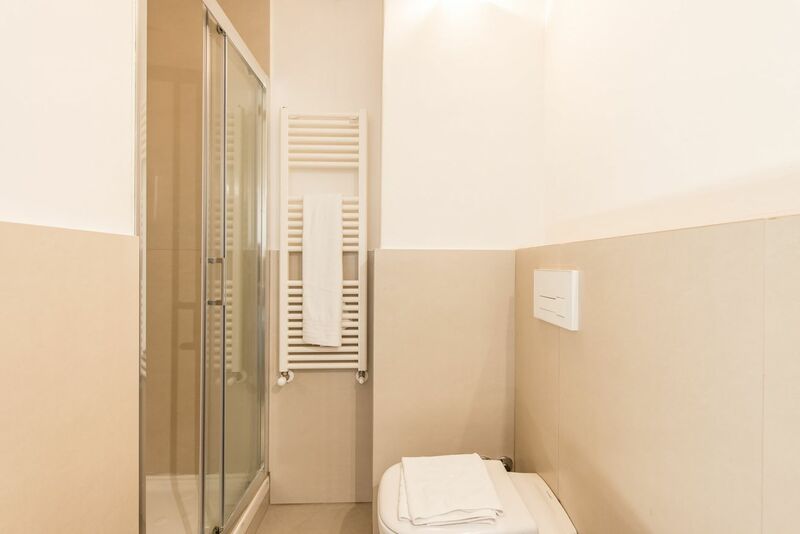 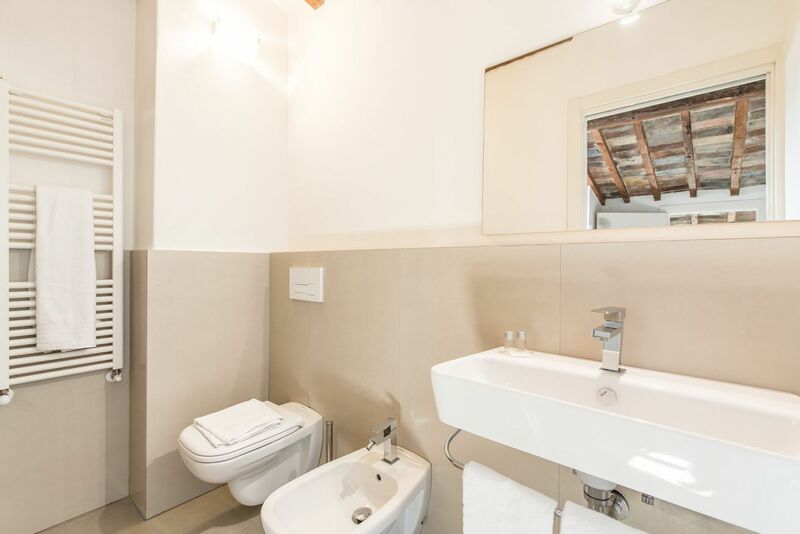 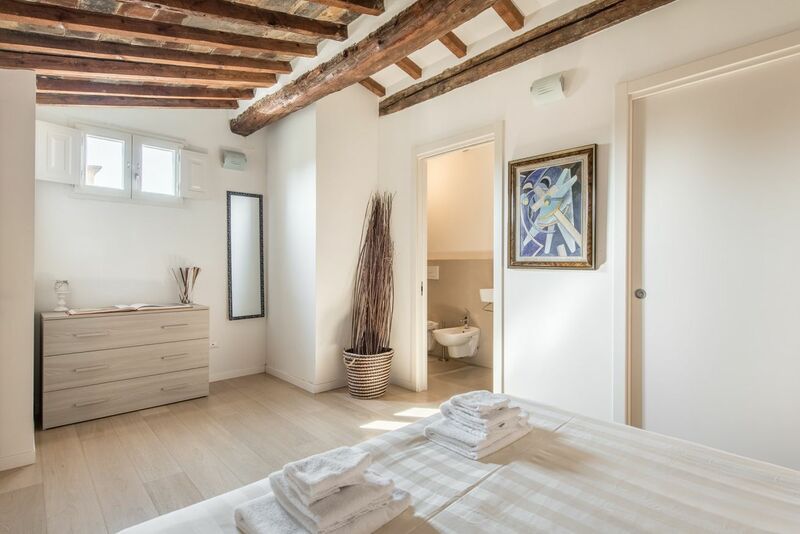 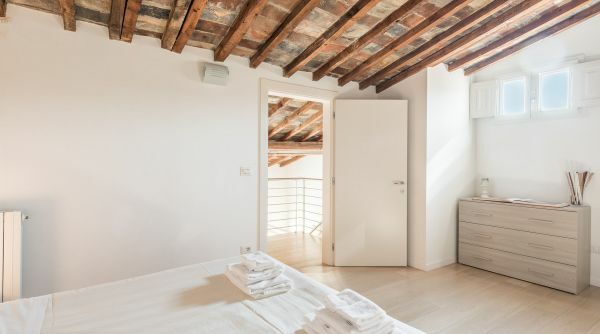 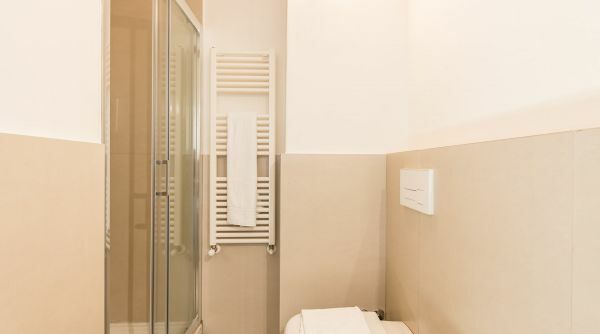 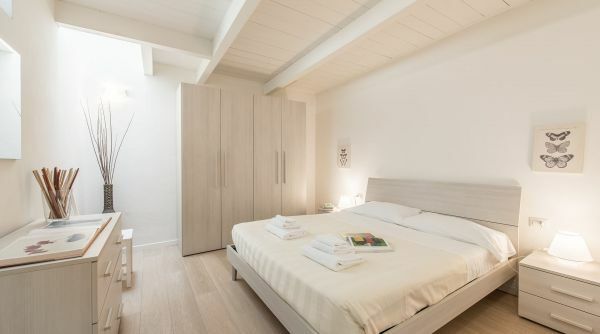 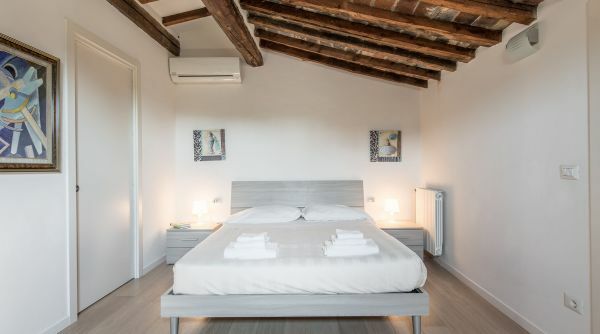 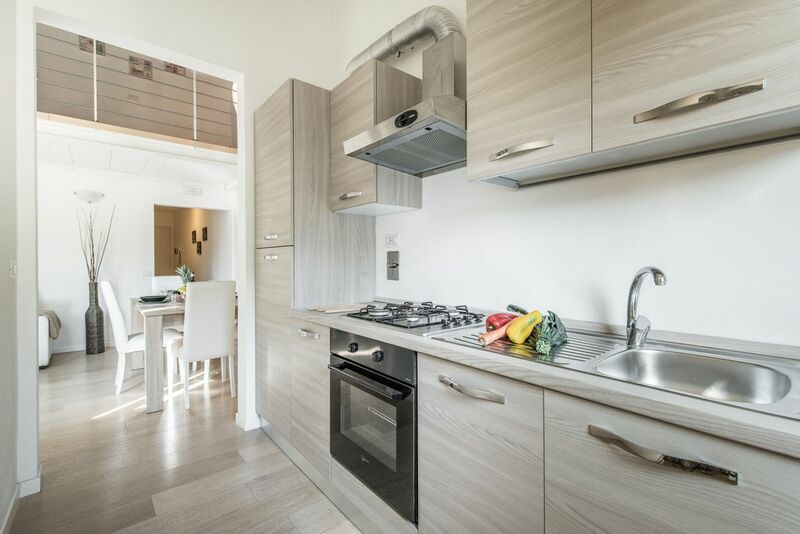 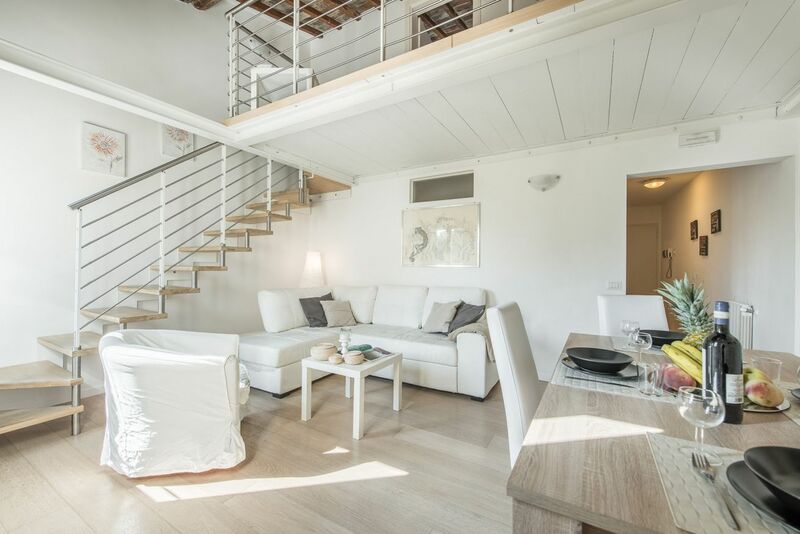 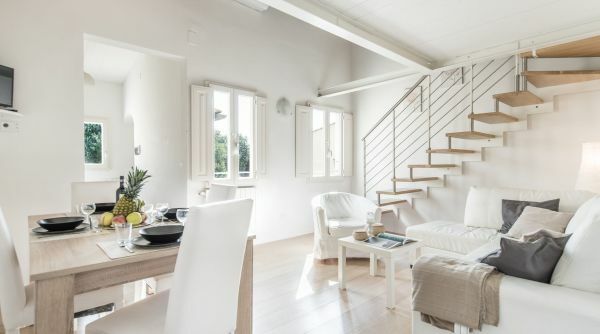 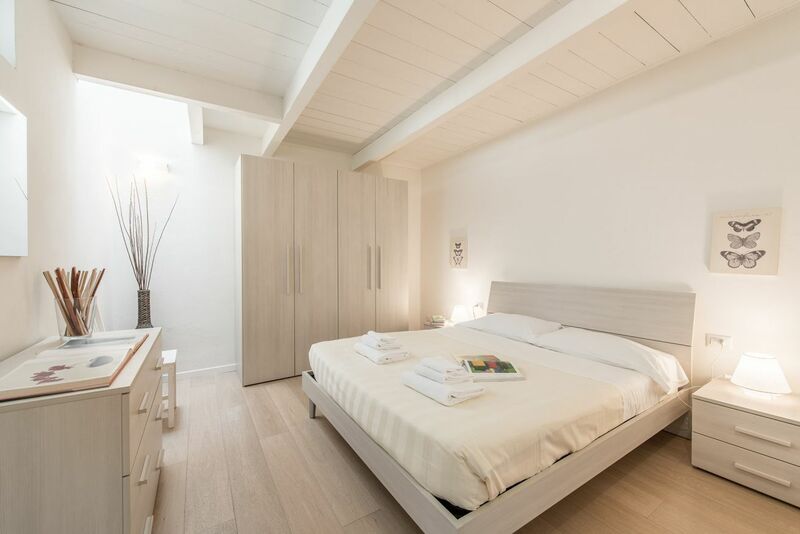 The house is in the centre of Florence and it can accommodate up to 8 guests, so this is a wonderful solution for a large family or a big group of friends. 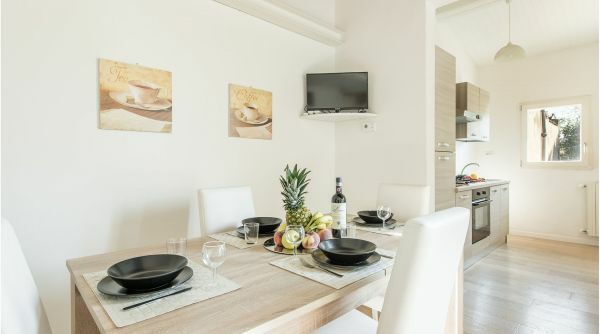 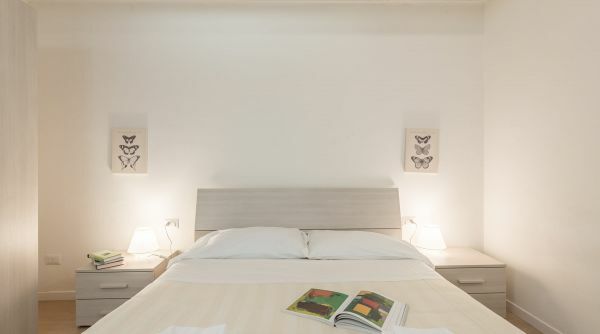 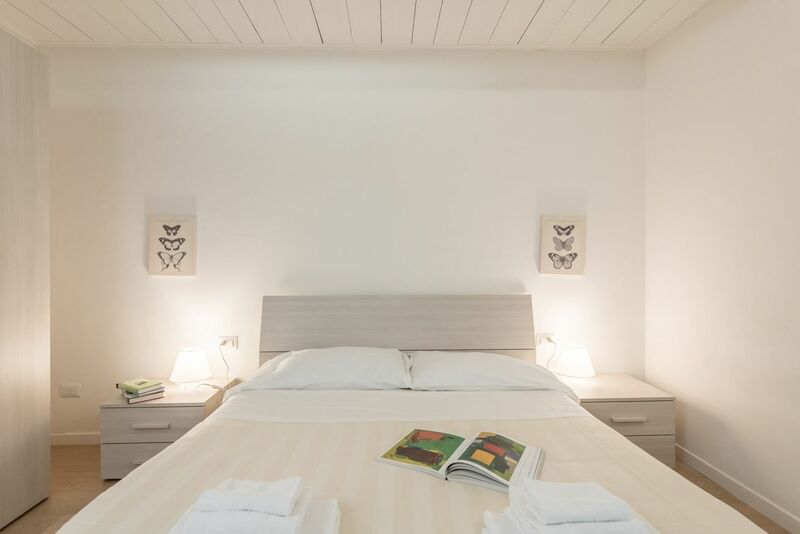 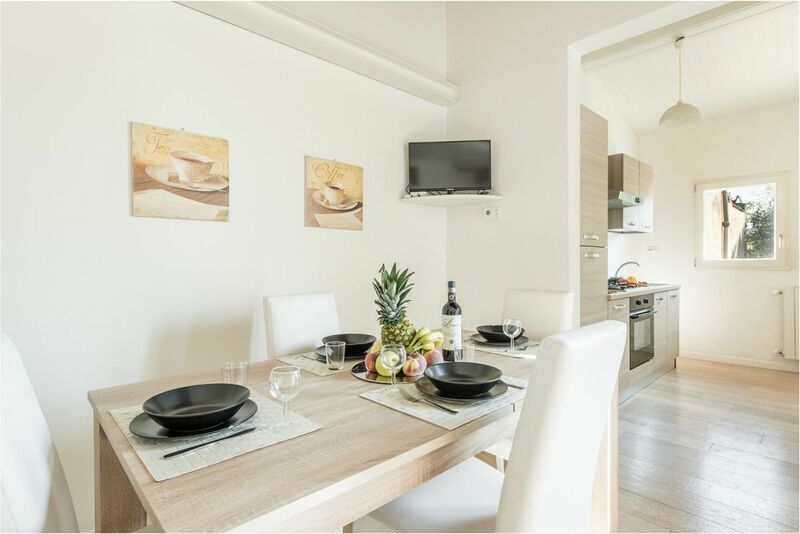 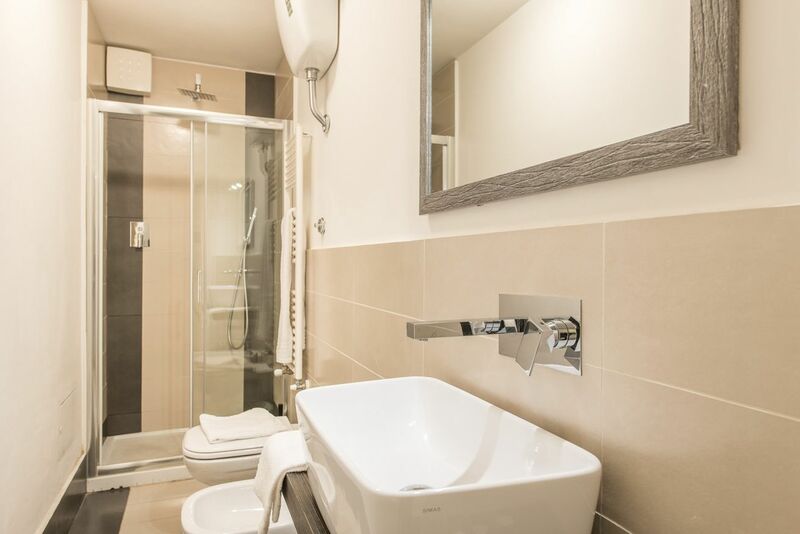 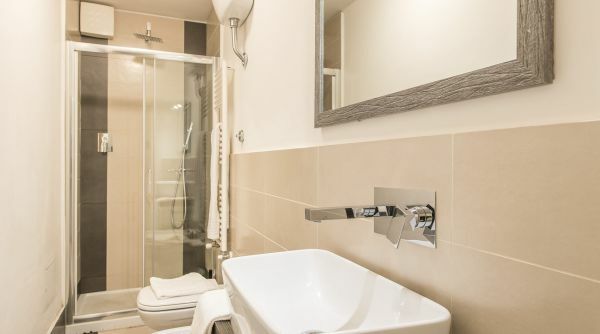 San Frediano Moderno is composed by two double bedrooms, two full bathrooms with shower, a well equipped kitchen and common spaces with two double sofa beds. 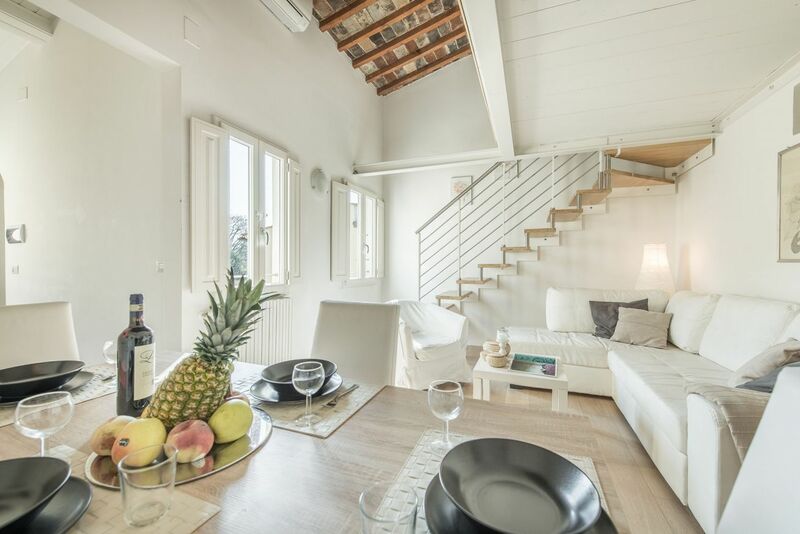 Recently renovated, the house is provided with internet Wi-Fi, air conditioning, independent heating and many appliances. 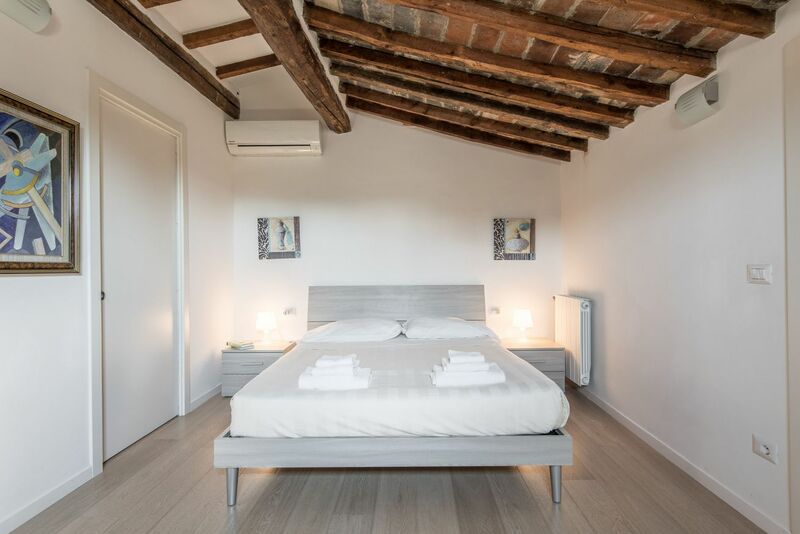 San Frediano Moderno is into the so-called florentine "Oltrarno", the part of the historical center located along the left bank of the river Arno. 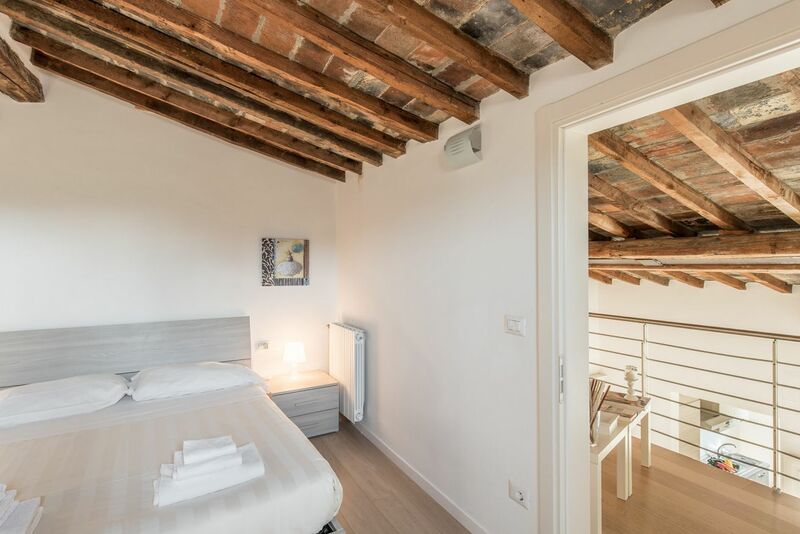 Also known as Borgo San Frediano, this is the district that more than any other has preserved its characteristics even if in the late years it bacame one of the referene point of the city's nightlife. 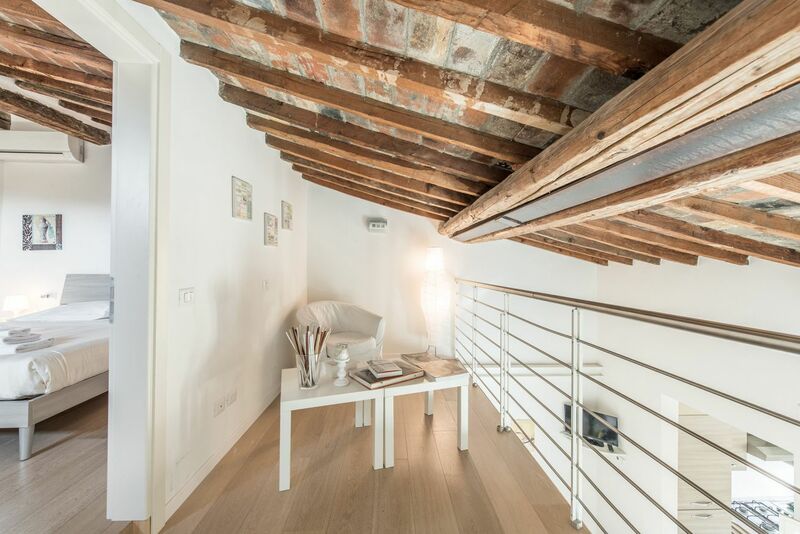 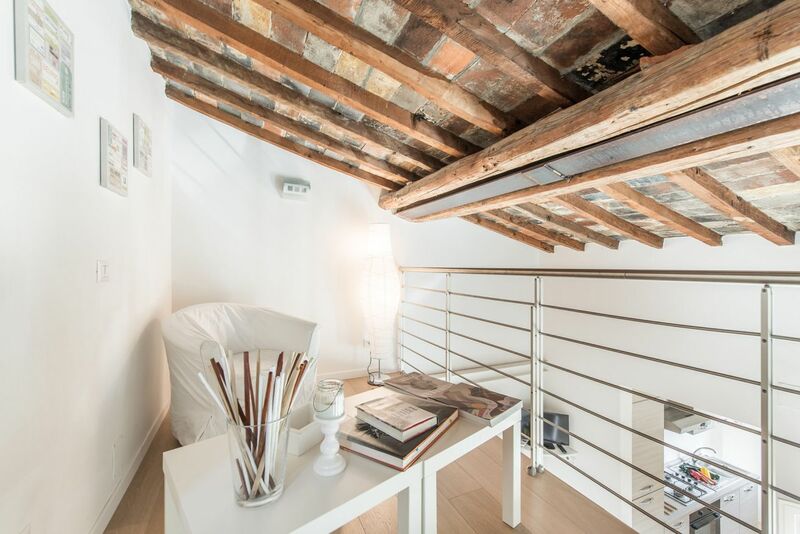 All around, particulartly in Piazza Santo Spirito, you'll finde many trendy clubs and restaurants. 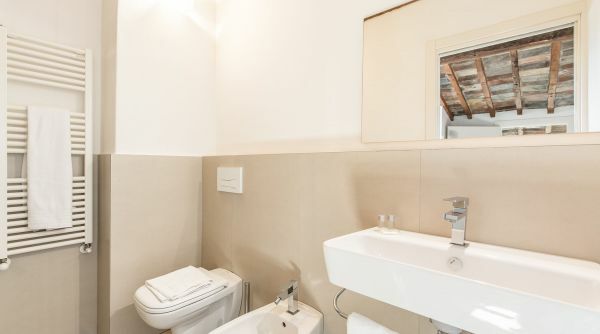 Talking about museums and monuments, be aware that you will find almost all at a distance easily passable on foot, ita takes only 15 minutes to get to Ponte Vecchio, the Uffizi Gallery and Piazza della Signoria.